Shawntel is a In Home Personal Trainer in Charolotte, NC and the local areas. She is a graduate of UNC with a B.S. in Kinesiology and a concentration in Sports Medicine. She has been training for about 7 years. She has had various experiences in Physical Therapy clinics and rehabilitation centers. She has worked with people from the ages of 13 to 70 years old. She is also an IFTA certified Aerobics Instructor and has instructed classes that include Powercut, Kickboxing, Bootcamp, 20/20/20 (cardio, weight resistance exercises), and Ab Lab. Shawntel loves to include these aspects of aerobics into her sessions in order to help people reach their goals. Her specialties are high intensity; core focused, and total body workouts. She, because she cares, will push you towards your goal while keeping you in high spirits! Fat Loss, Weight Loss, Strength Training or just staying healthy. Shawntel will get you RESULTS! Contact her today to start seeing results and meeting your fitness goals. 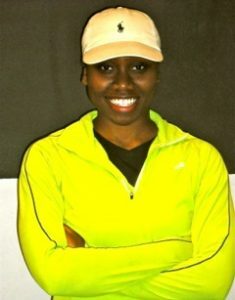 Learn more about In Home Personal Training in Charlotte NC with Shawntel. Submit your name, e-mail, address, city and any comments/ questions you might have.